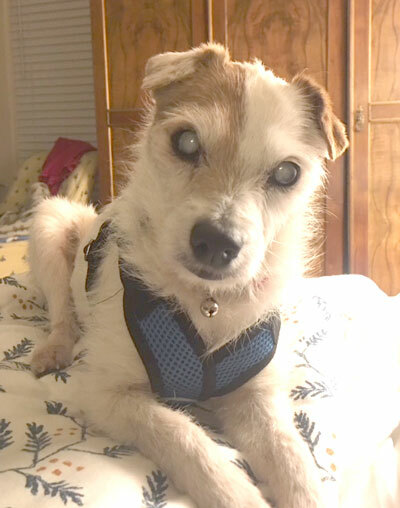 Spotlight Emma - Russell Rescue, Inc.
Emma – Spotlight Terrier – Please Help! Emma ended up in a shelter after being found as a stray. When she was found she had a chain attached to her collar. She was thin and freezing. Russell Rescue got her out of the shelter and into a foster home in Louisiana. Emma is about 8 years old. She has cataracts, but is in good shape otherwise. She is perky and happy, except for a nagging ear infection. Emma has had a very deep ear infection for some time now that won’t clear up. In order to treat it, she will need to be sedated and her ears flushed out and treated with medications. She also needs a dental cleaning. These two procedures total about $600. In order for Emma to be ready to find her forever family, these two things must be done. Her little ears hurt and we need to get her scheduled with the vet as soon as possible. Please help us help Emma by giving. No amount is too small…it all adds up! Thank you from Emma!